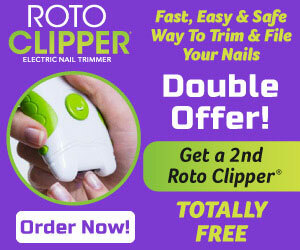 Roto Clipper is a simple lightweight battery operated hand held device that lets you trim and file your nails quickly,easily and safely. A lot of people have difficulty trimming their nails with conventional type nail clippers. It can be a little time consuming and the Roto Clipper makes this job look quick and easy.